Describing my father as a unique individual would be an understatement. He had varied, interesting hobbies and an outrageous sense of fashion. 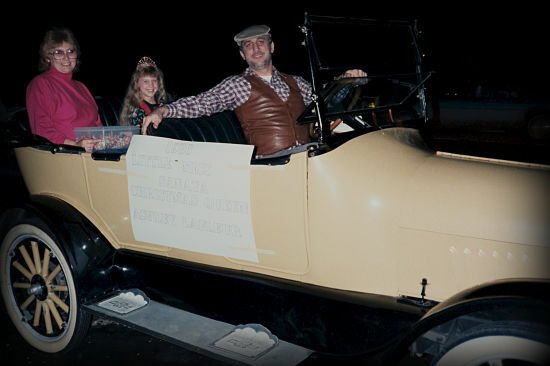 One of his more prevalent hobbies was collecting and restoring antique automobiles. My mom remembers that she and my father originally had a beautiful navy blue 1932 Chevrolet as their first antique automobile. She described it as car that looked like it belonged in the mob – it was beautiful and they both loved it. 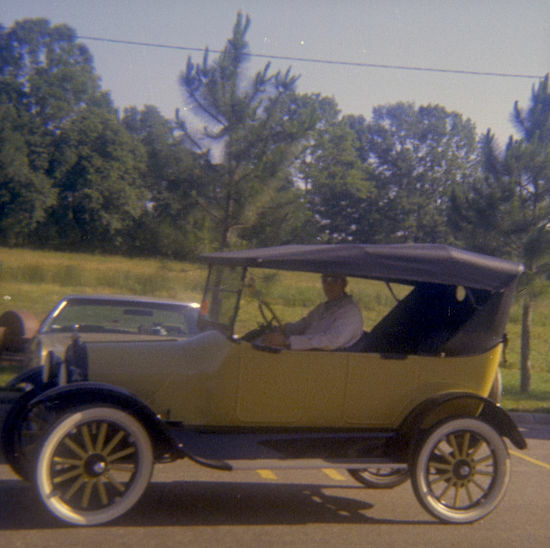 However, my father had a friend in the area’s Antique Car club (yes, these clubs do exist) that had a 1918 Chevrolet that my father loved, so my he sold the ‘32 and bought a the 1922 Chevrolet in 1971. My mom described the car’s original condition as very poor and she was very disappointed that they gave up such a beautiful car to trade it in for another that needed an immense amount of work. Over the next 3 years, my father and his friends disassembled the car – saving the pieces in fried chicken boxes in his shop to keep things organized. Each piece was rebuilt and restored – from the chassis up. This car has been in my family since my oldest sister was a baby – it’s almost like a sibling to us and we refer to it as the “yellow bird” – a reference to its canary yellow color. 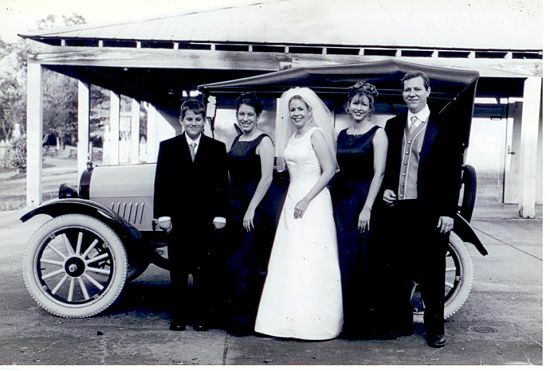 The car has been a part of many special memories – driving local pageant queens in parades, Sunday afternoon trips through town to give it a bit of exercise and my brother driving me and my husband in our wedding. Yellow bird has an ooooga horn installed and my dad would get the biggest kick out of sounding the horn at onlookers as we drove down the street. 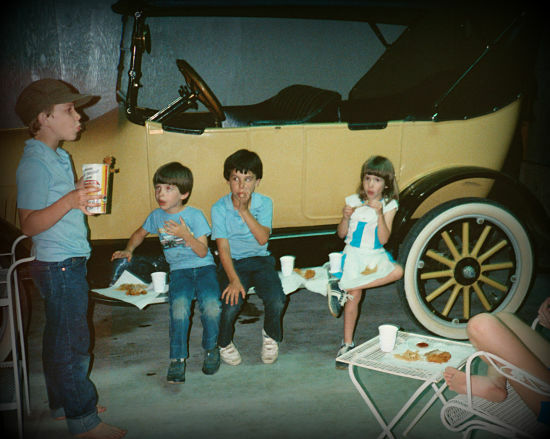 Our family outings on the weekend would often include a run in the local antique car rally, followed with dinner with the other members. Today, my brother is the owner and steward of the yellow bird. His profession as a machinist comes in handy if he needs to make custom parts for the car as they are hard to find these days. Yellow bird is finicky to drive and we were lucky that my father had taught him how to drive the car before he passed. I can say without a doubt that my brother ha’s inherited the antique car collecting bug – he has a few of them in his current collection. He still has Saturday morning breakfast meetings with the local antique car club, some members have been in the club ever since my father was a member. My brother is passing his love for antique cars on to his 3 years old son – which would be the 3rd generation of Doucet men to collect and restore these old automobiles. Does your family have a unique family hobby? What was it? Share your story below.